And once more Lameplast's research has generated innovatory solutions, that offer an original alternative capable of giving cosmetics greater visibility. A new concept single-dose pack named Easysnap has been created, unique in its kind and with an original opening system. The new patent correspond to a new company: to launch Easysnap on the market, the owners of Lameplast Spa, Easypack Solutions Srl and BB Packaging Srl have set up BBLameplast. EAsysnap can be used with just one hand, it folds easily untilit snaps open, and the product is rapidly released ina a controlled manner without splashing. Easy to use, it can be carried conveniently in a handbag for everyday use when traveling with no risk of accidental leaks. 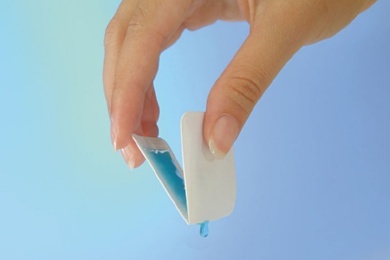 During manufacturing, the snap opening is adapted to suit the product density, so that the sachet can be completely emptied, no matter what is inside.